We handle all of the Land Rover services and Range Rover services that you could possibly need. Taking your high-end SUV to the outback, or anywhere else you want to go, will cause you to encounter unexpected repair needs. Our goal is to make your top-of-the-line SUV ready for anything. You purchased your Land Rover to be outdoors, and not inside our service bay. Let our team make sure you stay out there by visiting us on a consistent basis. Our quality service plans will have you in and out in no time, and you can get back to safe and confident road travel. 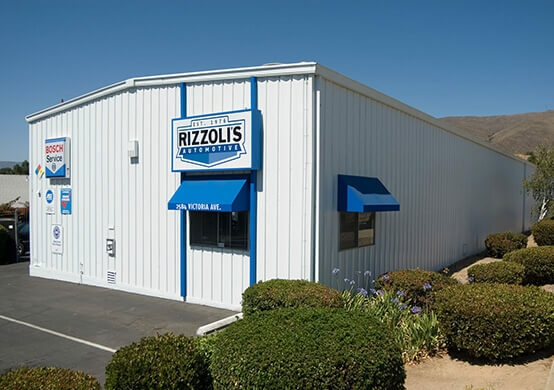 Rizzoli’s Automotive in Santa Maria, CA is keeping Land Rover owners happy with their investment in quality off-road travel. It all starts with an effective service plan that will keep you two steps ahead of any costly repair or breakdown. Our ASE Certified technicians will design an oil change schedule that considers your vehicle’s age, your driving habits, and the manufacturer’s recommendations. We perform a complete menu of preventative maintenance services which include timely tune-ups, filter changes, fluid services, tire services, diagnostic services, maintenance inspections, and more. Since your Land Rover and Range Rover are at the high-end, it’s a great idea to keep your dedicated technicians there too! Bring us any of your Land Rover’s malfunctioning systems–engine, mechanical, electrical–and we’ll perform an accurate diagnosis. This is where all of our Land Rover repairs start, with the truth! Find out from our Land Rover specialists what’s happening under the hood. You’ll be ready for any outdoor adventure, excursion, or trip to the grocery store. 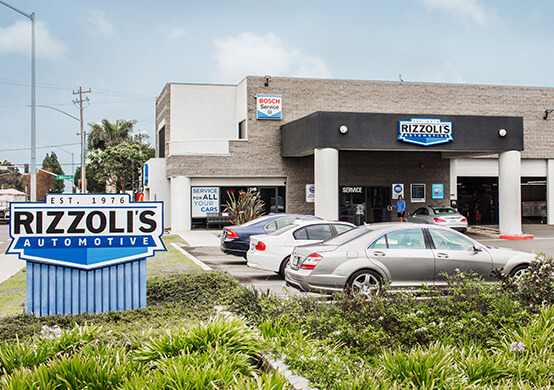 Rizzoli’s Automotive uses the industry’s most advanced tools and equipment to accurately diagnose your vehicle before we attempt anything. You’ll be with us every step of the way–from welcome to waving goodbye. In between, your Land Rover service will receive top quality engine repairs, transmission services, steering and suspension repairs, brake repairs, exhaust system repairs, A/C repairs, and much more! Keep your Land Rover off- and on-road ready by visiting our expert facility. Let’s get you back out there! Out where? Wherever you want your Land Rover to take you. Servicing Land Rovers is one of our many specialties, and one of our favorite. When you come to our service facility, you’ll be greeted by our friendly and professional staff, eager to assist you with your Land Rover’s needs. We stand behind all of our quality Land Rover Services with an industry-leading service guarantee–36 month / 36,000 Miles Triple Coverage Warranty! Land Rover drivers have nothing to worry about when they come to the experts at Rizzoli’s. Give us a call today at 805-922-7742 to schedule your next Land Rover service appointment. You can save time by scheduling using our convenient online system. Next time you’re in the area–1149 W. Tama Lane–feel free to stop by with any questions about your Land Rover’s service and performance. We gladly accept all walk-in customers.